Hypatia was a Hellenistic Neoplatonist philosopher, astronomer, and mathematician, who lived in Alexandria, Egypt, then part of the Eastern Roman Empire. She was a prominent thinker of the Neoplatonic school in Alexandria, where she taught philosophy and astronomy. She is the first female mathematician whose life is reasonably well recorded. Hypatia was renowned in her own lifetime as a great teacher and a wise counselor. She is known to have written a commentary on Diophantus’s thirteen-volume Arithmetica, which may survive in part, having been interpolated into Diophantus’s original text, and another commentary on Apollonius of Perga’s treatise on conic sections, which has not survived. Many modern scholars also believe that Hypatia may have edited the surviving text of Ptolemy’s Almagest, based on the title of her father Theon’s commentary on Book III of the Almagest. Hypatia is known to have constructed astrolabes and hydrometers, but did not invent either of these, which were both in use long before she was born. Although she herself was a pagan, she was tolerant towards Christians and taught many Christian students, including Synesius, the future bishop of Ptolemais. Ancient sources record that Hypatia was widely beloved by pagans and Christians alike and that she established great influence with the political elite in Alexandria. Towards the end of her life, Hypatia advised Orestes, the Roman prefect of Alexandria, who was in the midst of a political feud with Cyril, the bishop of Alexandria. Rumors spread accusing her of preventing Orestes from reconciling with Cyril and, in March 415 AD, she was murdered. According to Socrates Scholasticus, during the Christian season of Lent in March 415, a mob of Christians under the leadership of a lector named Peter, raided Hypatia’s carriage as she was travelling home. They dragged her into a building known as the Kaisarion, a former pagan temple and center of the Roman imperial cult in Alexandria that had been converted into a Christian church. There, the mob stripped Hypatia naked and murdered her using ostraka, which can either be translated as “roof tiles” or as “shells”. Damascius adds that they also cut out her eyeballs.They tore her body into pieces and dragged her mangled limbs through the town to a place called Cinarion, where they set them on fire. According to Watts, this was in line with the traditional manner in which Alexandrians carried the bodies of the “vilest criminals” outside the city limits to cremate them as a way of symbolically purifying the city. Hypatia’s death sent shockwaves throughout the empire; for centuries, philosophers had been seen as effectively untouchable during the displays of public violence that sometimes occurred in Roman cities and the murder of a female philosopher at the hand of a mob was seen as “profoundly dangerous and destabilizing”. Although no concrete evidence was ever discovered definitively linking Cyril to the murder of Hypatia, it was widely believed that he had ordered it. Even if Cyril had not directly ordered the murder himself, it was self-evident that his smear campaign against Hypatia had inspired it. The Alexandrian council was alarmed at Cyril’s conduct and sent an embassy to Constantinople. Theodosius II‘s wanted to punish Cyril, both for justice and because he himself was a great protector of philosophy (his own wife, Aelia Aeudocia was an Athenian philosopher). 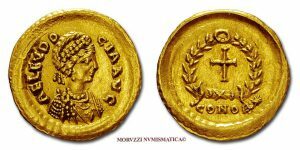 The investigation resulted in the emperors Honorius and Theodosius II issuing an edict in autumn of 416, which attempted to remove the parabalani from Cyril’s power and instead place them under the authority of Orestes. The edict restricted the parabalani from attending “any public spectacle whatever” or entering “the meeting place of a municipal council or a courtroom.” It also severely restricted their recruitment by limiting the total number of parabalani to no more than five hundred. Cyril himself allegedly only managed to escape even more serious punishment by bribing one of Theodosius II’s officials. Hypatia’s murder was the turning point in Cyril’s fight to gain political control of Alexandria. Hypatia had been the lynchpin holding Orestes’s opposition against Cyril together and, without her, the opposition quickly collapsed. Two years later, Cyril overturned the law placing the parabalani under Orestes’s control and, by the early 420´s, Cyril had come to dominate the Alexandrian council. Hypatia had no appointed successor, no spouse, and no offspring and her sudden death not only left her legacy unprotected, but also triggered a backlash against her entire ideology. Hypatia, with her tolerance towards Christian students and her willingness to cooperate with Christian leaders, had hoped to establish a precedent that Neoplatonism and Christianity could coexist peacefully and cooperatively. Instead, her death and the subsequent failure by the Christian government to impose justice on her killers destroyed that notion entirely and led future Neoplatonists such as Damascius to consider Christian bishops as “dangerous, jealous figures who were also utterly unphilosophical.” Hypatia became seen as a “martyr for philosophy” and her murder led philosophers to adopt attitudes that increasingly emphasized the pagan aspects of their beliefs system and helped create a sense of identity for philosophers as pagan traditionalists set apart from the Christian masses. Thus, while Hypatia’s death did not bring an end to Neoplatonist philosophy as a whole, it may have brought an end to her particular variety of it.